What is Forex Trading and Why It’s Worth Trying? While choosing your personal way of becoming prosperous, pay attention to the actively growing Forex Market. Forex stands for “Foreign Exchange Market.” So, its participants (they are called traders) have an opportunity to get profit from buying and selling different currencies. What are the main advantages of Forex? Forex trading makes you cleverer, more self-confident and accurate. You can learn to curb your feelings, to think twice before acting and to keep a lot of things in mind. It’s necessary to mention that Forex trading has its own specifics (not only those mentioned above). And Forex Brokers Nigeria will provide you with useful articles devoted to different types of trading, EAs, trading instruments and terminals, Forex contests, bonus programs, analytics, etc. Stay tuned to get involved. Join free educational contest "Forex school"
Take part in new contest on real PAMM Accounts "Money Managers"
What is no less important, Forex Nigeria is full of brokers offering different trading conditions and opportunities. While choosing a broker, keep in mind all the risks that Forex is associated with. Remember, that you should work with the Company you can trust and rely on. 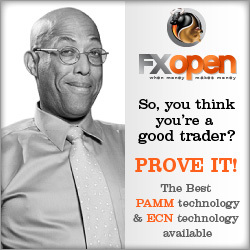 Here in Nigeria pay special attention to FXOpen. This broker is the one with whom you can establish a long-lasting cooperation. The Company does not only specialize in developing new product and introducing up-to-date technologies, but also aims to provide each client with the greatest service ever. Nowadays people all over the world are in search of convenient ways of making money. We carefully weigh all pros and cons, calculate profits and losses, take into account possible risks and advice of more experienced people… But you will never know what is good for you until you try. So, an amazing world of Forex trading is waiting for you. Join and enjoy!